Good news for the people of Canada! Samsung’s latest Galaxy A50 has appeared at Wifi Alliance bearing the model no. A505W, the W at the end indicating it’s meant for Canada. The mid-range smartphone has been available in India for more than a month now, and was set to release in the US as we earlier reported. 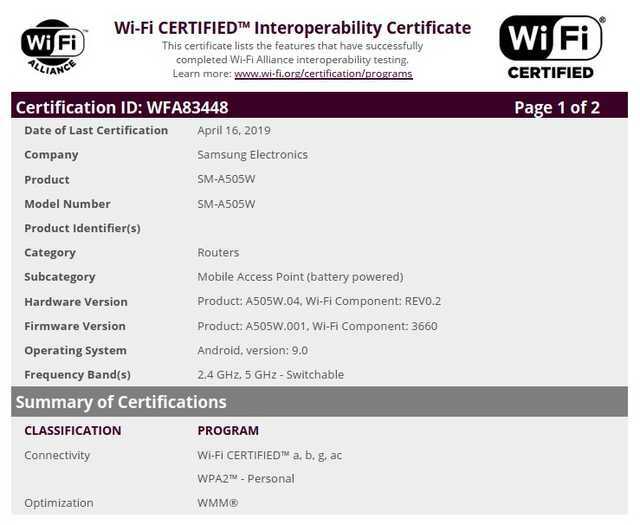 This time around, the Interoperability Certificate has been given to the device with model number SM-A505W, confirming that the certificate is for the Canadian version of the Galaxy A50, as Samsung’s products for Canada come with model numbers ending with a ‘W’, as compared to ending with a ‘U’ for the US and ‘F’ for Asia and Europian variants. 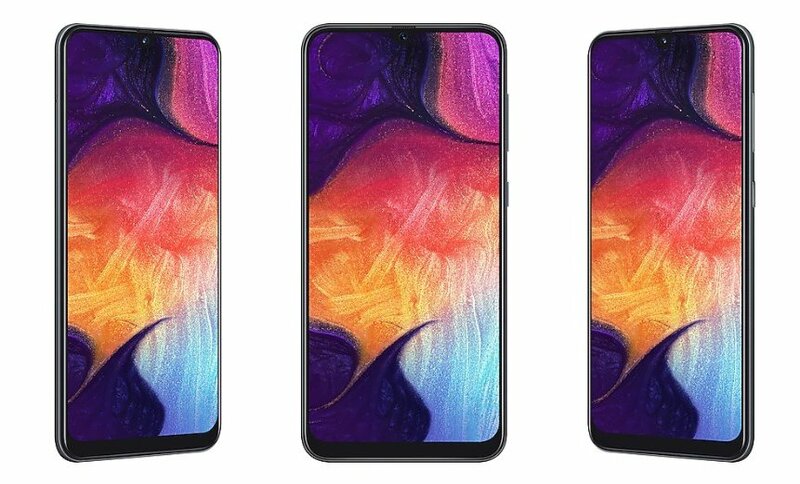 The Galaxy A50 comes with a FHD+ Super AMOLED screen with a Infinity U display (tear-drop notch), Exynos 9610 processor, 4/6GB RAM, 64/128GB expandable storage, a tri-lens main camera with 25MP + 8MP (ultrawide) + 5MP (depth sensor), and a 25MP front camera. The biggest selling point of this mid-ranger is that it’s sold 4,000mAh battery which can last you around a day and a half even on moderate usage! It also borrows the in-display fingerprint sensor from Samsung’s S10 devices. Samsung has been pushing this mid-ranger hard across various markets and it’s only time before it hits the Canadian soil!